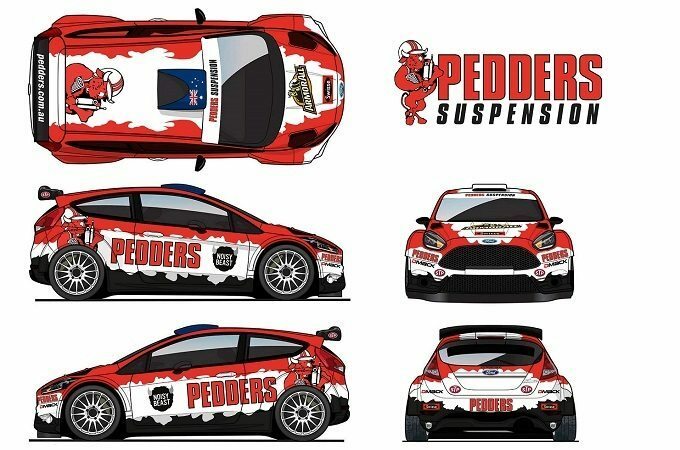 AUSTRALIAN Rally Champion Scott Pedder has revealed how his Ford Fiesta R5 will look when his WRC2 campaign starts at Rally Portugal next month. Pedder and co-driver Dale Moscatt will contest four European WRC2 rounds plus Rally Australia in September, and possibly two more rounds, in the most ambitious Australian international rally program in years. After partnering together to success in last year’s East Coast Bullbars ARC, Pedder will continue to receive support from Pedders Suspension, Noisy Beast, Swisse, ARMOR ALL and STP and will welcome new sponsor DMACK Tyres. “It’s such a privilege to be able to continue working with such great companies as I take the step out of the Australian Championship and into our WRC2 campaign,” he said. For Noisy Beast, a leading communication, creative and advertising agency, the benefit of continuing to work with Pedder and Moscatt is clear. “Off the back of a successful partnership in 2014, Noisy Beast and Swisse Wellness are delighted to support Scott and Dale’s international rally tilt in 2015,” Managing Director Adam Hilton said. 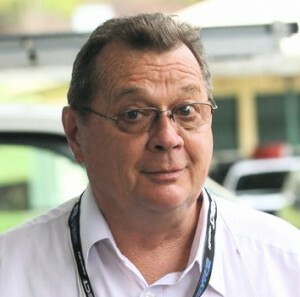 Paul Blair, Armored AutoGroup Senior Vice President and Managing Director for Australia and New Zealand, said: “Supporting Scott and Dale’s assault on the 2015 WRC2 is a fantastic component of our existing motorsport sponsorship program in Australia, which includes the Official Car Care Products and Official Oil Products sponsorship of the East Coast Bullbars Australian Rally Championship and Coates Hire Rally Australia. Pedder will also continue to wave the flag for his family’s business, Pedders Suspension, as it continues to grow both nationally and internationally, including in over 16 countries outside Australia. “Motorsport, in particular, rallying is part of the DNA of Pedders and having Scott follow on from his success in the 2014 Australian Rally Championship with a WRC2 program is a fantastic addition to our global marketing and promotional plans,” company Chairman Ron Pedder said. The Australian WRC2 campaign begins on 21 May with Rally de Portugal, and continues at Rally Italia Sardegna, Rally Poland, Rally Finland and Rally Australia. Spain and Great Britain are the likely events to cap off the full program for 2015.